Previous post link What Are The Names of Santa Claus’ Reindeer Who Pull His Sleigh? 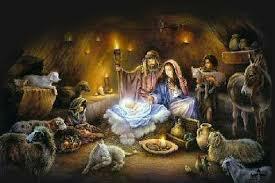 This Christmas in all the hustle and bustle of gift buying and giving, don’t forget the reason for the season. The most important gift of all is the gift of Jesus the Messiah! Though in the very nature God, He humbled Himself and became a man. We can get so busy “serving” God, even in religious activities, that we forget the God we serve. Keep Christ in Christmas! working perfect…just like the magic of Christmas!